Send us your personnel and we'll spoil them "rotten" for you, showing them just how much you really appreciate them. 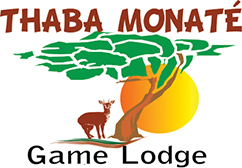 Thaba Monaté caters for a variety of functions, be it weddings, special birthdays or yearend functions. Please feel free in contacting us regarding an event you might be planning. Thaba Monaté offers wedding facilities on a balcony over-looking the magnificent mountains and one of the private dams situated in the deep gorge where you are able to witness majestic sunsets unique to the African Bushveld.